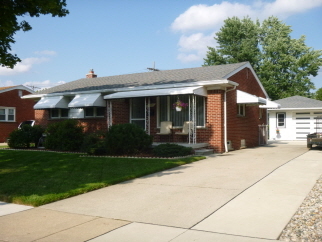 Truly move-in condition brick ranch. Beautiful new birch kitchen with soft close drawers, granite counters and hidden dishwasher. Great basement with glass block windows, lav and tankless water heater. Extra wide driveway, covered patio off garage with swing and bonus 12x31 shed with poured foundation. Newer roof, front porch, chimney liner and cap. All appliances stay along with custom blinds. Seller providing 1 year home warranty and Trenton C of O.